Susan joined WorldBridge Partners Chicago NW in November, 2009 as a Senior Search Consultant. She focuses on the Print, Packaging, Marketing Communications, Maintenance Repair and Operations (MRO), Manufacturing and Construction industries placing Sales, Operations, Management and Corporate-level Executives. Prior to joining WBP Chicago NW, Susan worked for an MRI executive search firm specializing in the Electrical industry. In her role, she was successful in filling positions in both Electrical Distribution and Manufacturing. Her focus was placing Sales, Operations, Senior Management and Pricing/Purchasing managers. Susan also worked for another large, international business where she recruited for positions in several vertical markets. She moved into a Senior Staffing Partner role for the corporate office and continued recruiting for positions in Sales, Operations and Engineering for the automation, Fire/Life Safety and Security business sector. 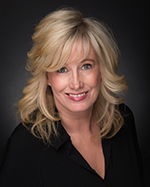 Susan is very happy to be part of the WBP Chicago NW team, one that prides itself on professionalism, integrity and the willingness to provide the highest level of customer service to their clients.